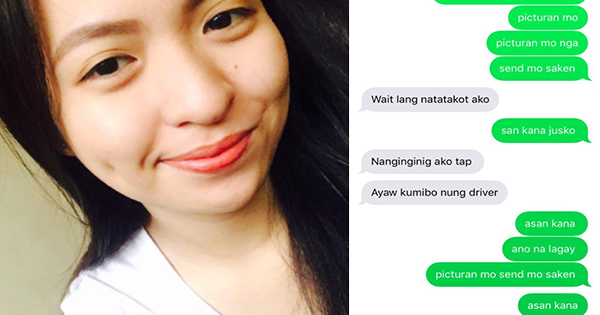 This Girl Was Able To Chat To Her BF Before She Was Kidnapped Inside UV Express! In the world of social media, the response for emergency and help can be extended immediately. 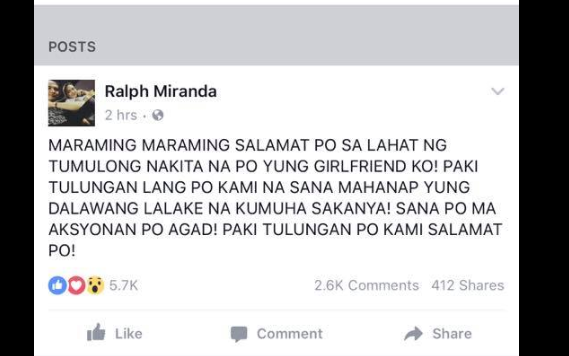 At around 8:00 pm, July 8, 2017, a Facebook user named Ralph Miranda posted on his account seeking help to trace and search his girlfriend, Chean Mae Diaz. 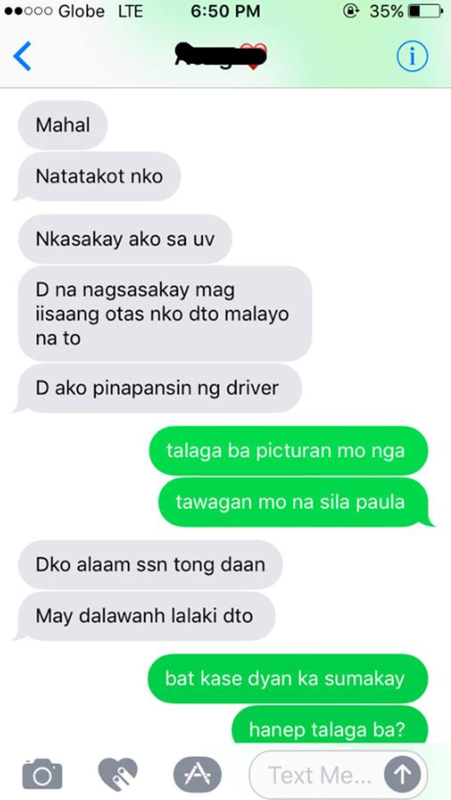 He had been worried sick because the last exchange of conversation he had with Chean was she was stuck inside the UV Express on her way to her apartment in Manila and the only passenger inside the van aside from her are two suspicious looking men. She felt nervous and scared and Ralph even texted that she may pretend that she is talking to someone on the phone. 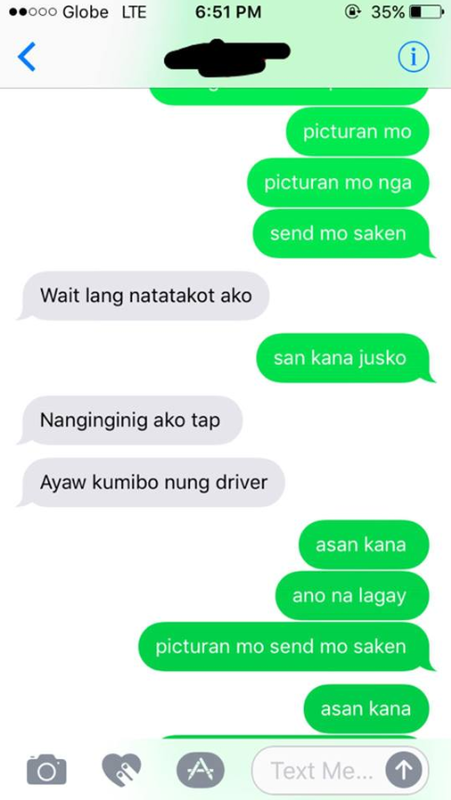 To make matters worst, she felt that she has been ignored by the driver despite calling his attention and she’s already unaware of where they are heading. 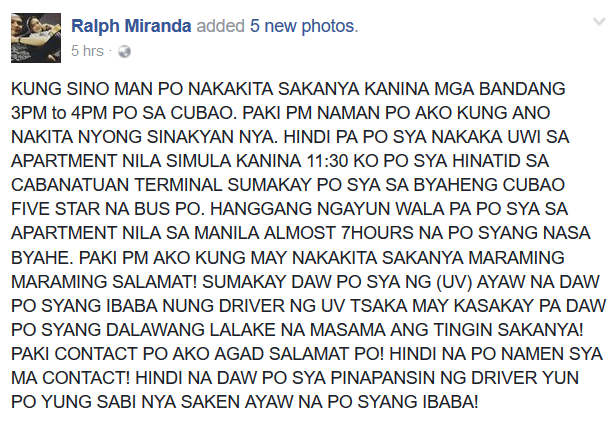 He pleads the netizens to notify him if ever they have seen his girl in Cubao around 3:00 to 4:00 in the afternoon, because he just accompanied her to the Cabanatuan Terminal around 11:00 in the morning which is headed fo Cubao. 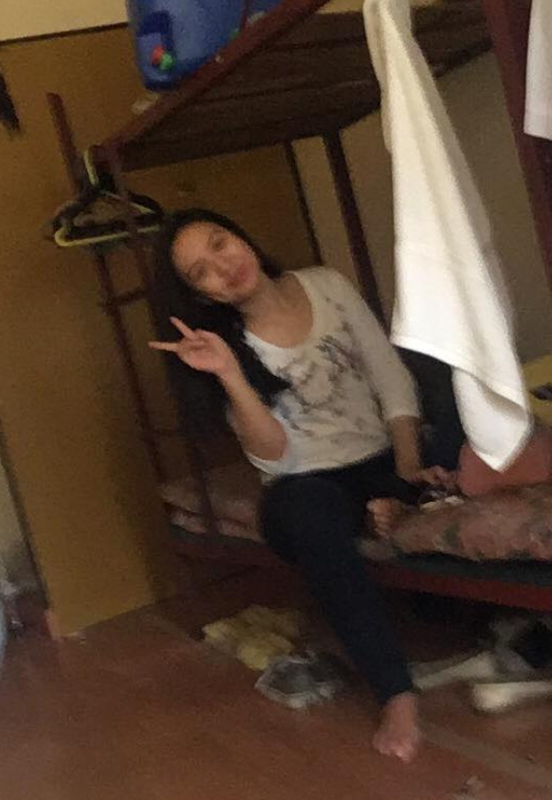 And it has already been seven hours and Chean’s phone is already unreachable. 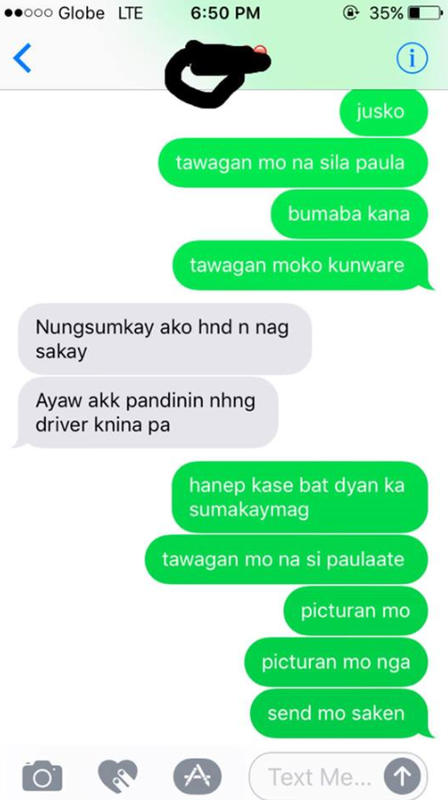 He even posted screenshots of their last exchange of conversation and the picture of the girl. 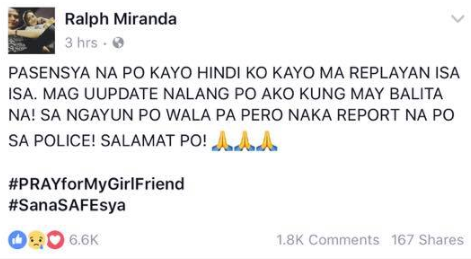 Around 10 in the evening, after almost two hours with respect to his post, he posted an update that his GF is already safe, but he’s still asking for help to locate and identify the men who kidnapped Chean. And also his words of thanks towards the people who extended help.